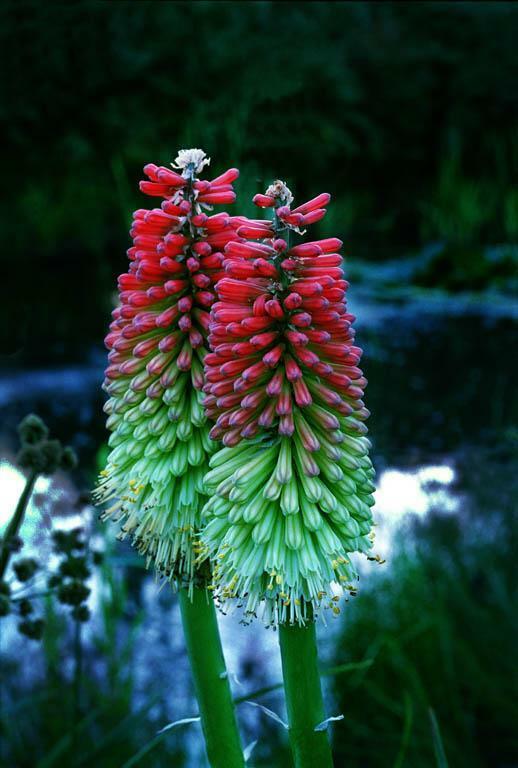 Home|Floral Library|Torch Lily – Kniphofia spp. From 36-41 F, upright in water for up to 5 days. Named for Johann Hieronymous Kniphof (1704-1763). Great spike flower having bright, hot colors. Looks like a torch burning, hence one of its common names. Plants perform very well in a garden setting for years with few pests.